Jackfruit is a plant-based meat substitute often used as a vegan alternative to pulled pork. But what is jackfruit? Is it healthy? What does it taste like? How do you cook it? Totally Vegan Buzz brings you the ultimate guide to jackfruit. 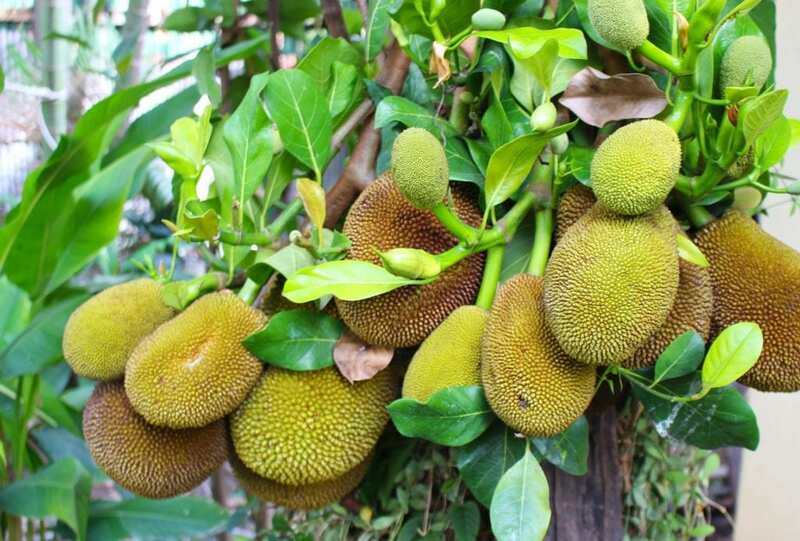 Jackfruit (artocarpus heterophyllus) is also known as fenne, jakfruit, jack, jaca, nangka, kathal, kanun and jak. It is a tropical fruit from a species of tree in the fig, breadfruit and mulberry family. Jackfruit trees are native to southwest India. Jackfruit is one of the largest tree-borne fruits, reaching up to 120lb in weight, 90cm in length and 50 cm in diameter. Both the unripe and ripe forms of jackfruit, including the seed, are used in a variety of dishes. Young jackfruit is increasingly being used as a plant-based meat alternative because of its texture and ability to absorb flavours. What is the history of jackfruit? Jackfruit originated in southwest India and later spread to southeast Asia, Thailand, Indonesia and Malaysia – where it is a major part of a typical diet. Jackfruit is the national fruit of Sri Lanka and Bangladesh, and state fruits of Kerala and Tamil Nadu in India. As a tropical and sub-tropical region plant, it is also cultivated in Africa. The name ‘jackfruit’ comes from the Portuguese word ‘jaca’, which is derived from the pronunciation of the Malayalam name ‘chakka’. What does jackfruit smell and taste like? Jackfruit emits a distinct aroma and flavour depending on the age. A fully ripe jackfruit has a very strong, fruity aroma. Ripe jackfruit when eaten raw is sweet, with a similar flavour to mango and pineapple. Unripe jackfruit has a very neutral flavour and acts as a blank slate to absorb the flavours of sauces and spices. 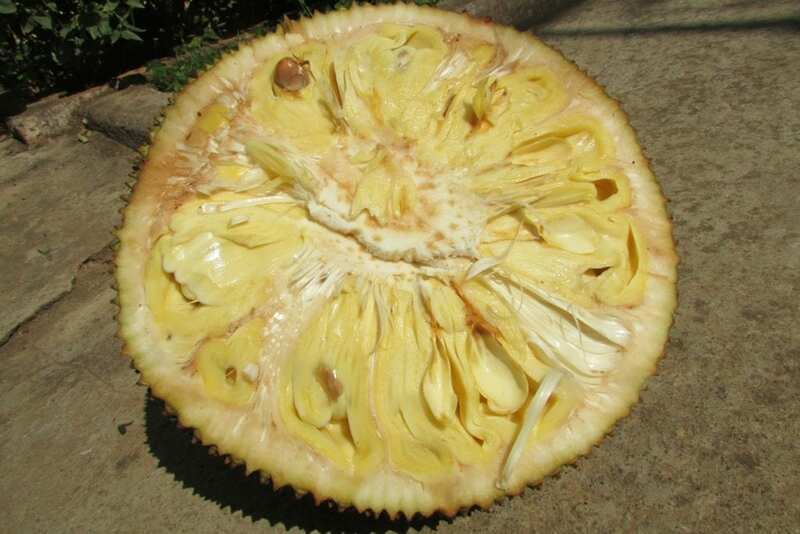 The seed of jackfruit has a similar or a slightly blander taste when compared to a chestnut, and is often roasted, boiled or turned into flour. Roasted jackfruit seeds can be used to create commercial alternative to chocolate aroma. Enhances immunity: Jackfruit is rich in antioxidants that help in reducing risk of various diseases. Research found antioxidants protect body cells from stress and inflammation. Controls blood sugar: Jackfruit is rich in several nutrients and has properties which might help in controlling blood sugar levels. One study found that adults who consumed jackfruit extract had significantly improved blood sugar levels. Improves digestion: Jackfruit seeds are a good source of dietary fibre, which helps control issues with digestion. 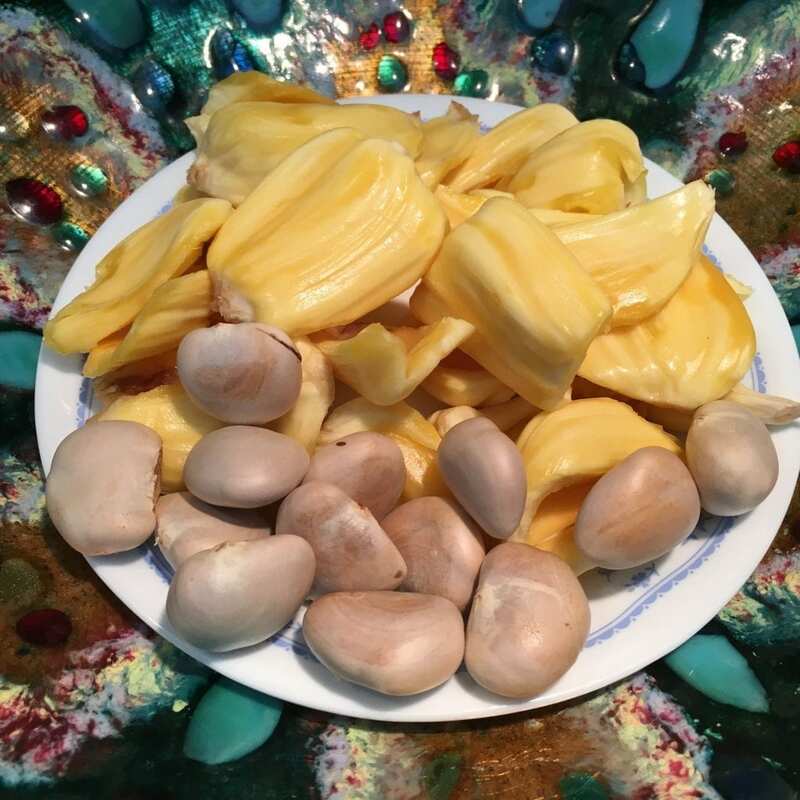 Promotes heart health: Some studies suggest jackfruit is good for promoting cardiovascular health as it contains a good amount of potassium, fiber and antioxidants. Prevents skin problems: Jackfruit is rich in antioxidants and other nutrients that contribute to healthy skin. Anecdotal evidence also shows it can also slow ageing. Jackfruit is considered a healthy food, but there can be side effects and allergic reactions for certain individuals. It is not recommended for those who suffer from birch pollen or latex allergies. There is also evidence that lectins extracted from jackfruit seeds can adversely affect patients with tissue transplant or immunosuppression therapy. Due to the rise in veganism, there are an increasing number of meat substitutes in the market including tofu, tempeh, seitan and jackfruit. Jackfruit, which is often less processed that most other meat alternatives, is popular amongst vegans and vegetarians for its texture – which is similar to pulled meat. For this reason it is used to create plant-based versions of shredded chicken and pulled pork. Young jackfruit lacks its own taste and has the ability to soak up flavours of spices and marinades. In addition, upon roasting a crust is formed on jackfruit, similar to meat. Other preparation methods include making stews, BBQ and curries. Where do you buy jackfruit? Jackfruit is widely available in tropical and sub-tropical regions. Due to the increasing demand, it is now available in most supermarkets across the world. 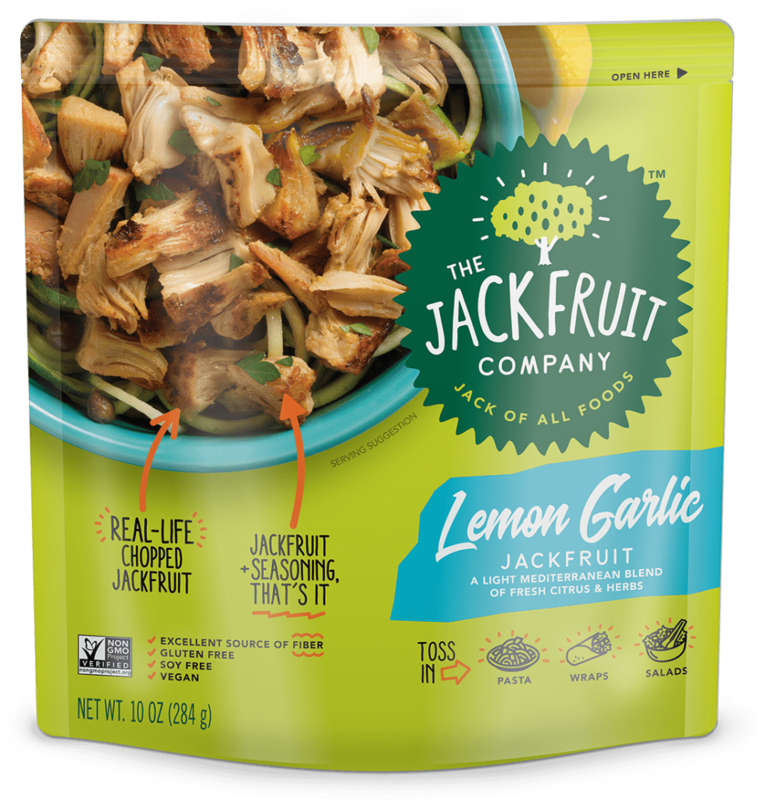 Jackfruit can be available as a whole fruit, sliced, canned, dried, frozen or as a ready-made dish like vegan pulled jackfruit tacos, vegan jackfruit biryani and roasted seeds. Popular brands selling jackfruit include- Biona Organic, Upton’s Naturals and The Jackfruit Company. What is your favourite jackfruit dish? tell us in the comments section below!